A perfect beach read with the right amount of twists & turns. I packed this book with me to Ocean City, Maryland and never got around to reading it. It traveled with me to various cafes, subways, a weekend at my in-laws, and finally to a staycation at The Colonnade right before our big summer move. It was the one book that I was determined to read before we packed up our condo because I was so intrigued by the title. Who doesn’t love a good juicy secret? This was the perfect summer read – light, a bit mysterious, plenty of twists & turns at just the right pace, and secrets! Jane Green navigates you through the life-altering secret that jolts a young journalist, Cat. This secret lands Cat, across the pond, in Nantucket. The details of Green’s writing puts you in the midst of the lackadaisical island life that I was daydreaming of. 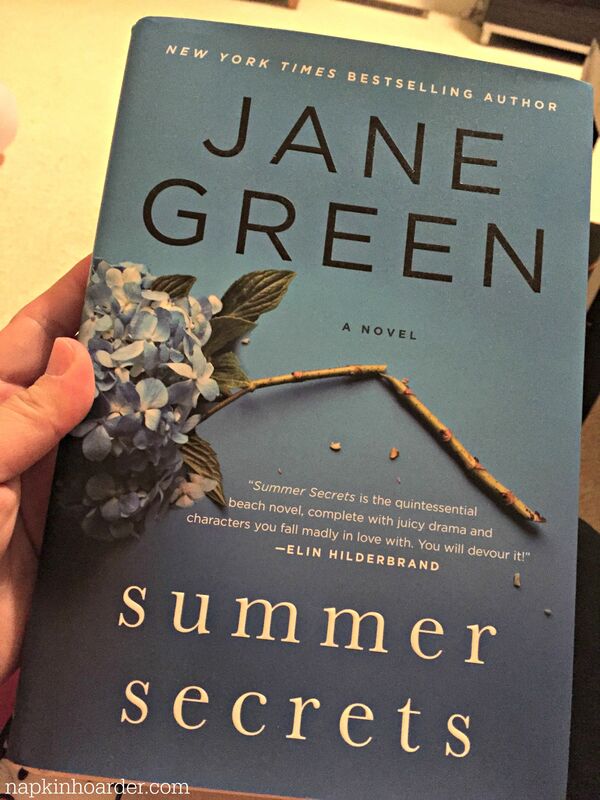 I don’t want to give away too much, but Summer Secrets satisfyingly explores forgiveness, surprises, betrayals, and discovering yourself. It’s the perfect book to take to the beach, dig your toes into the sand, and get carried away between London and Nantucket.